Activated Charcoal face masks are used in the cosmetic industry especially for oily or acne prone types of skin because of the activated charcoal´s ability to draw impurities out of the skin much more effectively than a lot of other cleansing ingredients. So, before reviewing some of the best charcoal face masks, let´s have a look at what exactly is a charcoal skin mask and whether it is good for your skin or not. 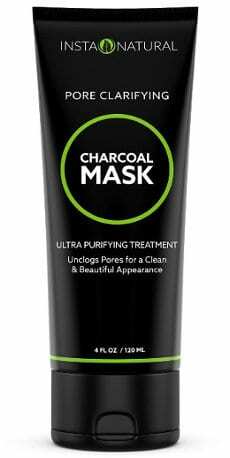 What is an Activated Charcoal Face Mask? An activated charcoal face mask is a mask used as a beauty treatment that contains activated charcoal and other ingredients to help your complexion look and feel better. The main raw material of charcoal, which is a natural ingredient, is a thin, odorless and tasteless black powder which comes from the coal of burnt wood or from fiber plants of the coco palm, bamboo and others. For this powder to be transformed into activated charcoal, it needs to go through a special procedure. Charcoal facial masks have antibacterial properties and help reduce acne and acne breakouts while softening and brightening your complexion. Due to their anti inflammatory benefits, they are also good for relieving skin irritations. Deep cleanse pores, removing dirt, debris and oil. Help prevent acne breakouts by removing excess oil and toxins. Now that we know more about the advantages of these masks, here is a look at some of the top reviewed activated charcoal masks on today’s market. The InstaNatural Charcoal mask comes in a 4 ounce squeeze tube and contains charcoal powder, China clay and Lecithin. According to the InstaNatural company, this facial product removes dirt and impurities from your pores, diminishing whiteheads, blackheads as well as breakouts and leaving your face cleaner, fresher and smoother. It is also suitable for different types of skin such as dry, rough, normal, oily or combination and works best if you apply a warm cloth on your face first or use the mask right after you shower so your pores are open. User reviews about this pore cleansing mask are very good. People find it creamy and very easy to apply. It makes their face feel clean, refreshed and soft with less visible breakouts. Some of them mention that their face skin tone becomes glowing and even. They really like the fact that it does not dry out the skin and reduces the amount of acne breakouts leaving their skin clearer. It also minimizes oiliness and makes pores smaller. 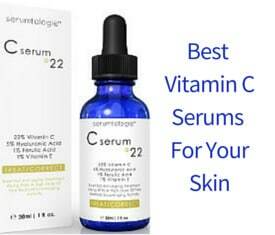 Users say it is good for various types of skin including sensitive and combination. The fact that it neither dries out nor irritates the skin makes it a safe choice for cleansing pores. 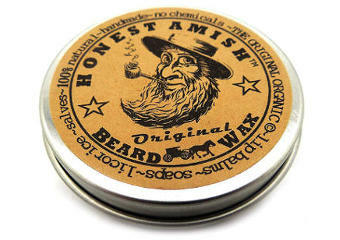 It has no scent and people claim that it is suitable for regular use and not just once every week. Here, it is worthwhile mentioning the tip that one reviewer gave relating to its application. She suggested not over rubbing the product on the face since if you do so, you might need to re apply since the area will not be fully covered because since the mask sticks to the skin, over rubbing can partially remove some of the mask. 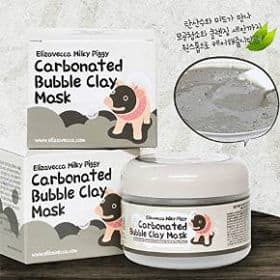 The Elizzavecca Milky Piggy Carbonated Bubble Clay Mask is actually a two-in-one face mask working as both a charcoal mask and a scrub. While the activated charcoal removes dirt and impurities from your pores, the carbonated bubbles help to bubble up the debris from the skin leaving it cleaner and fresher. Ingredients in this charcoal product include, but are not limited to charcoal powder, green tea extract, aloe Vera, matcha powder, pomegranate extract, alantoin and more. Although this product instructions are not in English, all you have to do is simply spread the mask on your face and leave it there for a few minutes until it bubbles up, and then gently rub the mask to finish cleaning your face prior to rinsing. You just need to be a bit careful so that you don´t apply it too close to your nostrils or eyes. Overall, users seem to find this clay mask fun to use with few of them mentioning that it tickles a bit when you apply it but it cleanses thoroughly your face. They love the fact that their skin becomes super soft and that it feels refreshed and clean. In addition, it really helps to reduce and remove blackheads. While a lot of users report that it is not drying to the face, few others think that it tends to dry out the skin and they prefer to apply a moisturizer afterwards. People also find that it is non irritating and is gentle on sensitive skin while they do recommend that you store it safe by keeping the lid on the container. The only drawback of this charcoal face mask, according to few users, is that it can be a little messy to clean off. The Freeman Charcoal & Black sugar polishing mask is the winner of the beauty awards of the ¨Allure¨ magazine and a favorite staple of many people´s skincare routine. This is a super grainy product that comes in a 6 ounce container and works both as a detoxifying face mask and an exfoliant. It is recommended for all skin types and some of its ingredients are activated charcoal, Kaolin, ginger root extract, banana fruit extract and raspberry fruit extract. This not the typical mask you would expect but it is rather a grainy gel scrub which will take a little time for you to get the hang of it and spread it around your face nicely. Still, users love the job it does and their enthusiastic reviews prove it. It works really well to exfoliate and deep cleanse pores, it deals with blackheads and in some cases eliminates as well as slows down acne and prevents further breakouts. According to most users, it makes their complexion wonderfully soft and supple. It very slightly warms as you scrub it but when you wash it off, it leaves no redness, residue, dryness or skin tightness. Its price is great but one disadvantage that users mentioned is that the tube is a bit hard to close since the sugar granules get everywhere. The Origins Clear Improvement Active Charcoal Mask is a favorite of many people who experience great benefits from using it. It comes in a 3.4 ounce tube and contains such ingredients as Myrtle leaf, Kaolin, Bentonite and Charcoal powder. 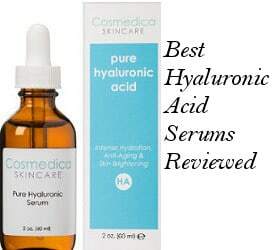 Users with acne prone skin and clogged pores report very positive effects after using this product which might not appear immediately but take some days to appear. In fact, some people say that the mask might trigger some breakouts in the beginning but that is only because the activated charcoal starts drawing the deep skin impurities and brings them up to the surface. This product is not only effective in reducing the oil of your skin and in making pores tighter and smaller but in getting rid of the blackheads, according to users, as well. Their skin tone also gets more even and the texture softer and smoother. Some people suggest that you steam your face first before you apply the mask to be able to enjoy maximum skin results. Nevertheless, a few of them think that the mask price is rather on the high side. In conclusion, if you are troubled by acne, blackheads, clogged pores or oily skin, finding a good activated charcoal face mask can help you have a clearer, softer and more refreshed complexion.